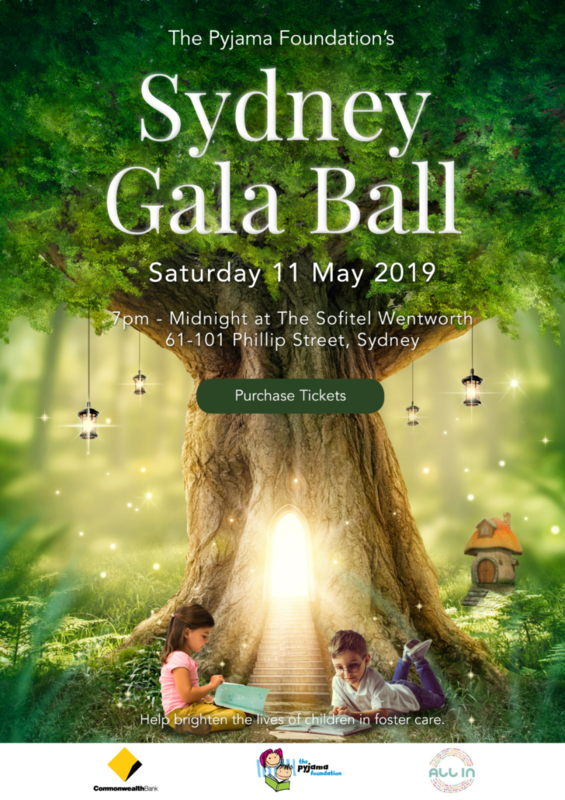 You are invited to an incredible evening of entertainment, networking and fundraising at The Pyjama Foundation’s Sydney Gala Ball to support children in foster care. Our Sydney Gala Ball will feature entertainment, live auction and breath-taking prizes, delectable dishes and fine beverages. Come along and join us to raise vital funds for vulnerable children. With your support, we help more kids in care reach their dreams. All ticket proceeds benefit The Pyjama Foundation’s ‘Love of Learning Program’ to support children in foster care.